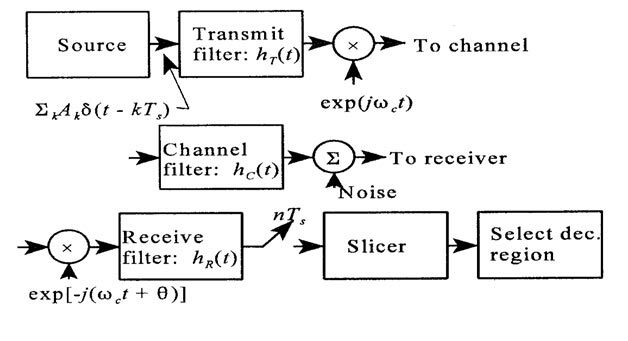 This function has three parameters amplitude, frequency and phase which may be varied in accordance with data or another modulating signal. For digital modulation which is the main topic in this section. Digital data 1 and 0 is translated into an analog signal (base band signal).Digital modulation is required if digital data has to be transmitted over a medium that only allows for the system -to connect a computer to this system a modem is needed .The modem is needed, the modem then performs the translation of digital data to analog signals and vice versa. There are three basic methods for modulation - amplitude shift keying (ASK), frequency shift keying (FSK); phase shift keying (PSK).These will be discussed in more detail in following sections.